There are a good number of Kenya airlines making it possible for one to get cheap domestic flights. If you are looking for international flights, see this page on flights to Kenya. This is a major domestic and international carrier. It offers numerous flights to other African countries. KQ as it is popularly known operates from Jomo Kenyatta International Airport (NBO). It has more than 39 airplanes most of which are modern Boeing aircraft. African Safari Airways is base in Mombasa and offers international flights between Europe and Kenya. It mostly carries tourists with it Airbus A310. The company was launched in the mid 90’s and provides freight services to NGOs, government ministries and neighboring countries such as Tanzania, Uganda and Ethiopia. Of late it has began offering freight services to the private sector and ferrying passengers as well. 748 Air Services has 11 prop engine aircrafts. This is one of the pioneer Kenya airlines. It was formed after the merger of Sunbird Aviation and Air Kenya and has its hub at Wilson Airport in Nairobi. Airkenya Express has a fleet of five aircrafts that fly domestic and regional flights. Most of its flights are to Tanzania’s Kilimanjaro Airport. This company offers domestic and regional flights. It is has its hub at Jomo Kenyatta International Airport. Africa Express Airways has one DC-9 jet aircraft and two Boeing 727s. They specialize in safaris and have daily scheduled flights from Mombasa to various tourist destinations e.g. Diani, Lamu, Samburu, Tsavo, Amboseli and Masai Mara. They have small modern turbo-prop aircrafts. They cater for tourists and offer scheduled flights to various Kenya tourist destinations. They offer chartered domestic flights in case their scheduled flights do not fit your timetable. Their fleets of aircrafts are all prop-driven. Fly540 was launched in 2006 and operate from Jomo Kenyatta International and Wilson Airports. They offer scheduled flights to Eldoret, Kisumu, Kitale, Lamu, Lodwar, Malindi, Mombasa and across the border to Juba and Zanzibar. Jambojet is a wholly-owned subsidiary of Kenya Airways. 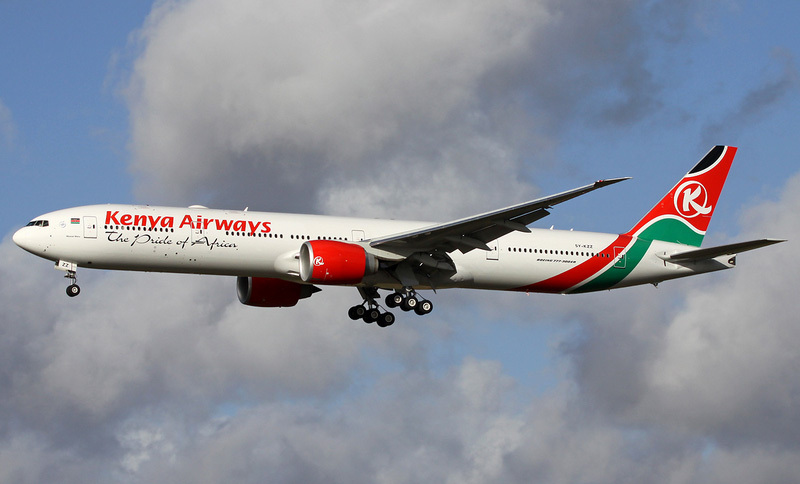 It launched flights on the 1st of April 2014 and has since then become one of Kenya’s aviation success stories in terms of passengers uplifted. 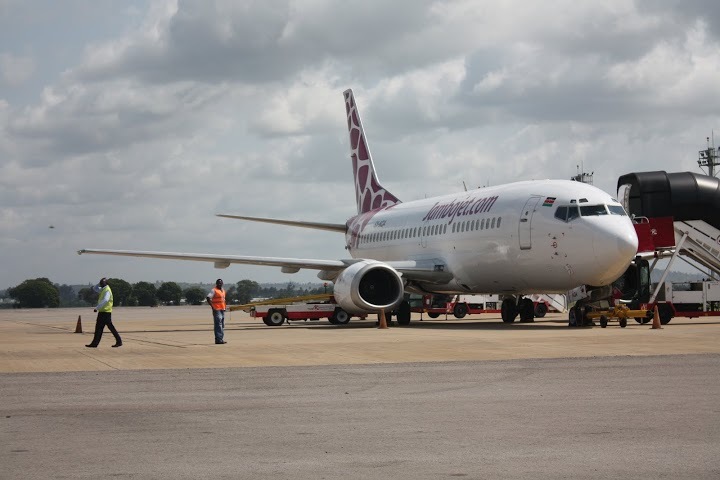 Jambojet operates a fleet of 3 Boeing 737-300s and offers regular flights to and from Nairobi, Mombasa, Kisumu and Eldoret.